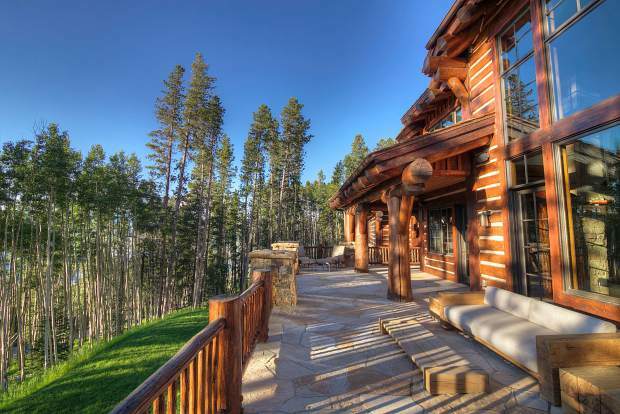 This property at 3219 Daybreak Ridge in Bachelor Gulch is currently listed at $9.5 million by Berkshire Hathaway HomeServices Colorado Properties. Despite a slow start to ski season, lower-than-average snowfall overall and national market challenges, the Vail Valley continues to show strength in real estate sales, particularly in the luxury market. While residential units under contract are off 6.5 percent valleywide, dollar volume is up by almost 11 percent per the Vail Multiple Listing Service. Recent contracts on listed properties, ranging in price from $10.9 million to $24.5 million, plus the recent record price-per-square-foot sale of a Lionshead Village condo at $3,064, demonstrate that luxury sales have remained strong through what was a challenging ski season. According to Larry Agneberg, high-end properties broker specialist for Berkshire Hathaway HomeServices Colorado Properties, one of the reasons for Vail’s strong performance for the first quarter is pent-up buyer demand. Looking ahead, the second quarter is expected to be very strong, with many contracts scheduled to close. While current listing inventory is at a 10- to 12-year low, between now and the beginning of August, the valley is expected to see an increase of 20 percent to 25 percent more inventory. Buyers are looking, and ready, willing and able to purchase, when the right property at the right price appears. One-of-a-kind homes and superior locations are commanding the highest prices, but pricing remains a critical component to the overall market. “There are buyer groups out there waiting for a property that matches their criteria,” said Rick Messmer, managing broker for Berkshire Hathaway HomeServices Colorado Properties’ Eagle Ranch office. “Note to sellers: These buyers are savvy, have done their homework and often come with pre-qualification letters.